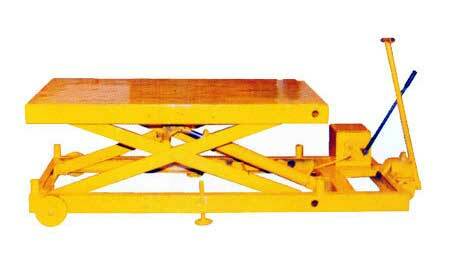 Our company is a well-known Manufacturer and Supplier of Hydraulic Lifting Table in New Delhi. These Hydraulic Lifting Tables, that we offer, are available in standard models with manual pumps or motorized Power Packs. As per the customersâ�� specification, the lifting capacity of the Hydraulic Lifting Table can be increased. The wheels of these Hydraulic Lifting Tables are resistant to wear and tear.